Whether your crown is new or it has been there awhile, if it suddenly falls out, you need to take quick action. Alert your dentist right away. If it is off-hours, leave a message or have your dentist paged. Sometimes your dentist will make a trip into the office over the weekend to put your crown back into place. While your crown falling out is not an emergency, it can feel like one to you if the crown is on your front tooth, or in a place where your smile reveals the missing crown. After you’ve called your dentist, take matters into your own hands and replace it yourself until your visit to the dentist. You can find dental cement at your local drug store. Brush and floss your teeth, and then rinse your mouth out with a cup of warm water mixed with a tablespoon of salt. Then clean the crown with warm water and a toothbrush and let it air dry. Apply a few drops of the cement onto the crown and carefully put it back in place over your tooth. Hold a cotton ball onto to the bottom of the crown and press hard for at least two minutes. This is a temporary solution, so treat it as such – avoid chewing on that side of your mouth so that your crown stays intact until you can see your dentist. 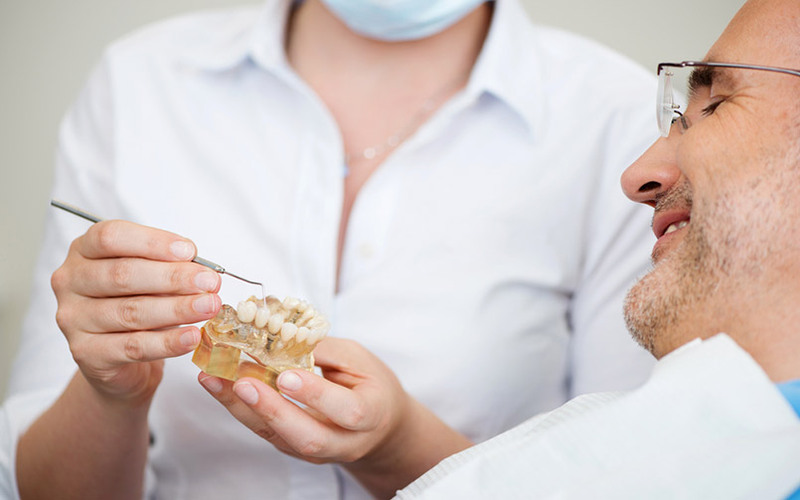 At your dental appointment, your dentist will discuss your options for replacing your crown. If the crown is new, and in good shape, your dentist may just reapply the high-grade dental cement and replace your crown right then and there. If the crown is new, but has a crack or chip in it, your dentist will want to replace your crown with a new one. Discuss with your dentist if this is covered under your insurance, as replacing a crown can be quite expensive. 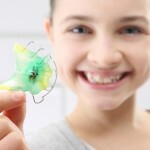 Porcelain or Ceramic crown – A porcelain or ceramic crown is a good choice for teeth that show in your smile, as they are able to best match the color of your other teeth. These types of crowns can be applied in two ways – cemented directly to the tooth that is being “capped” or bonded to metal that your dentist has fitted over your tooth. Bonding the porcelain or ceramic crown to metal provides higher durability. Resin crowns are made up of all-resin material that is a much cheaper crown, yet provides less durability, as resin crowns are prone to cracks and fractures, and may need to be replaced more often. The material used in all-resin crowns is similar to the material that your dentist uses for regular white (not silver) tooth fillings. Gold alloys and all-metal crowns are the strongest and most durable, as they hardly ever need to be replaced. However, they are the least popular crown as the gold cannot be matched to your own tooth color and they appear “outdated” compared to some of the other options. But if the tooth in question is a molar for example, or you are not concerned with the appearance of this particular tooth, they are the most durable crown, and will most likely last a lifetime.